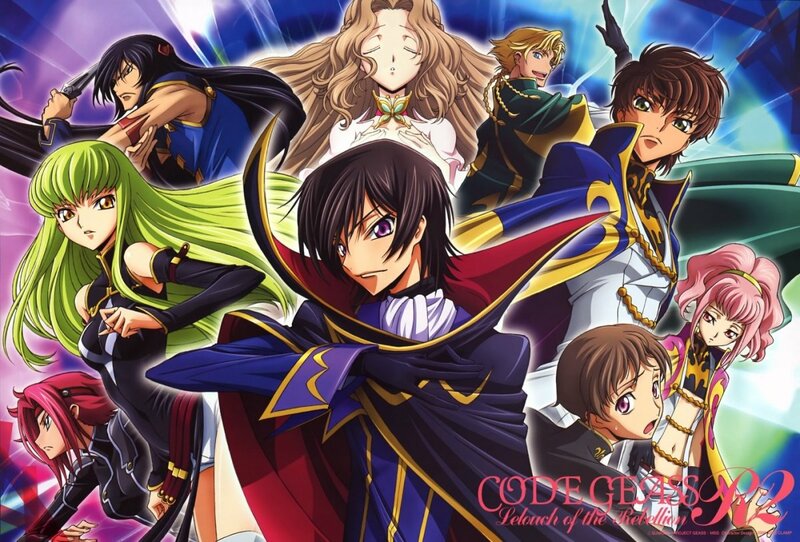 Whether it may be about cool mecha, mysterious powers, strategic geniuses, or thrilling plot twists, Code Geass presented all these elements on an exceptional level. By doing so, this anime climbed to the top whilst showing a grand tier of excitement and action throughout its run-through. 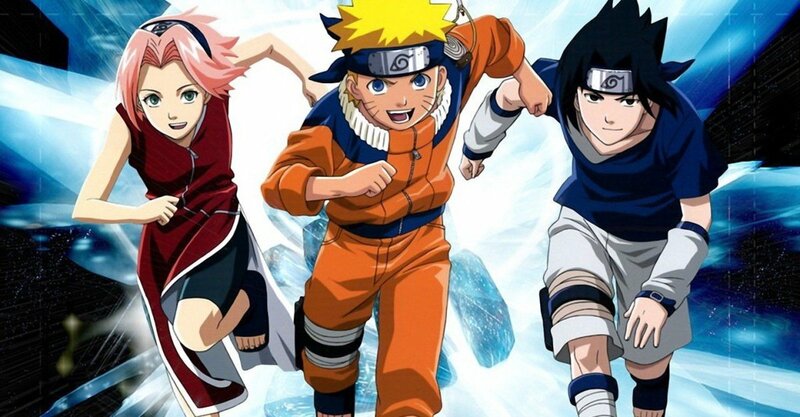 It is one of the most loved and favored titles ever in the history of anime. 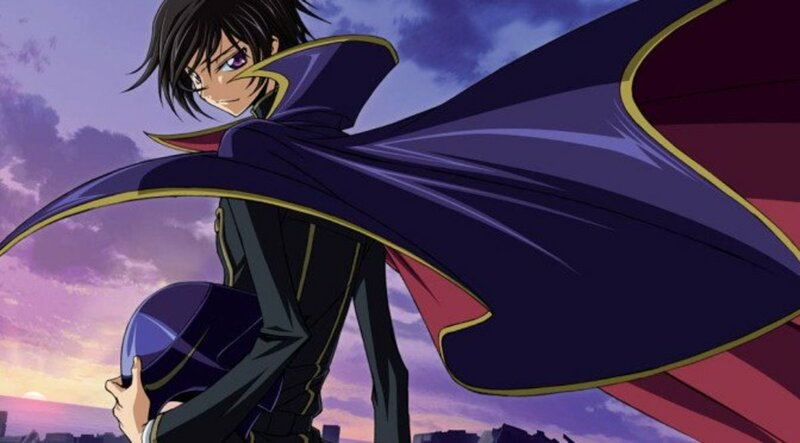 With Code Geass amassing a great deal of popularity and fame, it's no surprise that its fan-base is seeking out similar shows and whatnot. And so, I gave in to the sensation just to give you recommendations on more anime. That's right! You're in the proper place. 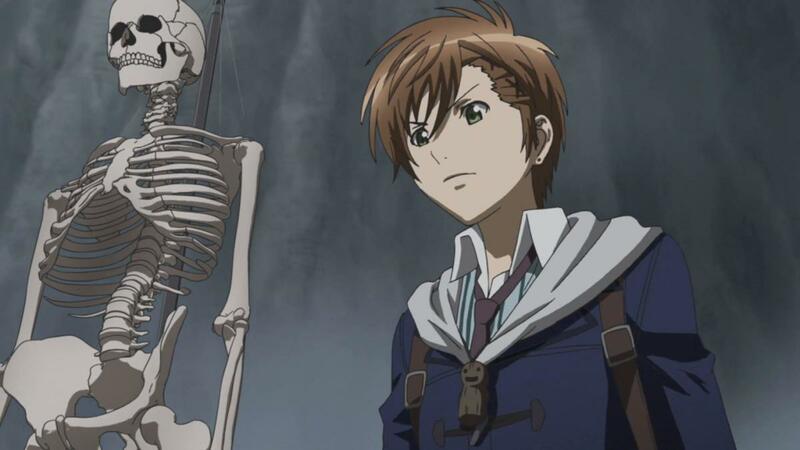 This article will direct you through a collection of more anime similar to Code Geass, and show you what other anime shows live up to the same (or nearly) god-like level. Sit back now, and watch! After the Holy Empire of Brittania's conquest for territory and power, Japan now finds itself a place called "Area 11" where the citizens are also called elevens and are treated as lower than low in their own country. As such, the people want to regain their freedom! In the middle of the crisis of discrimination and war, the elevens eventually find hope in Zero, a black knight whose goal is to free the elevens from the chains bestowed upon them by the Holy Empire of Brittania. Unberknowst to everyone, Zero is the alter ego of an exiled prince of Brittania who fortunately meets the witch known as C.C. who in turn gives him the power of kings: the Code Geass. If you’re looking for an anime like Code Geass in terms of its main character’s overall attitude and personality, the sudden mysterious power acquisition, the strong notions of justice, and the brilliant tactician play, then Death Note would be the closest choice. 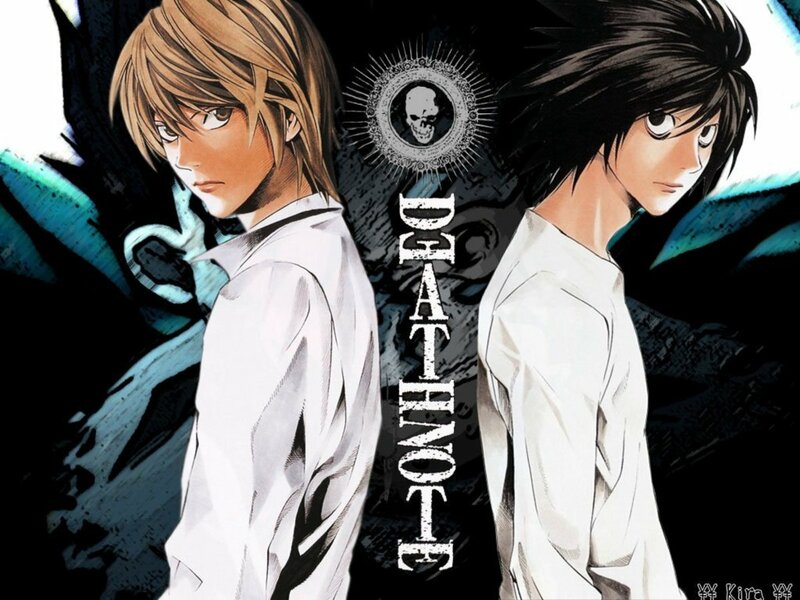 Death Note narrates the uncanny story of how the Shinigami’s notebook of death, the Death Note, fell into the hands of Yagami Light, a curious student who goes by his own strong sense of justice. At first, he is hesitant to use the Death Note. But, when he learns of its unbelievable powers, he starts to carry out his master plan of punishing all the criminals in the world and to bring the world closer to his own ideals. With this goal in mind, he begins to operate under the name Kira. 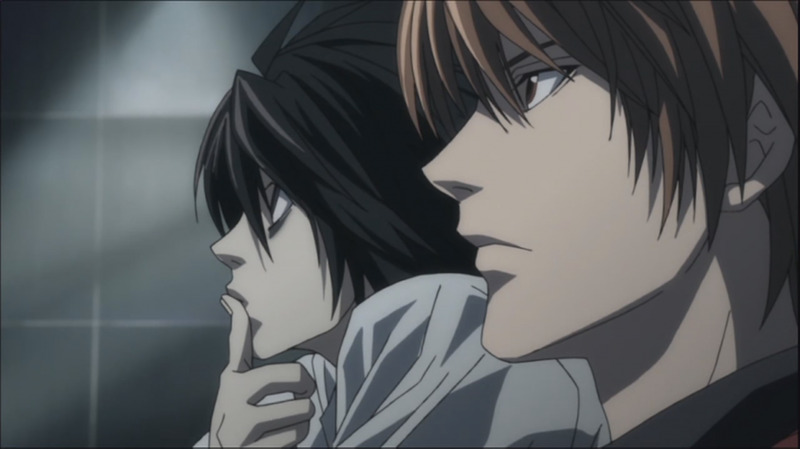 Whether it was right or wrong, only Kira has the power to decide and change the world with his Death Note. But one day, a mysterious yet brilliant person who goes by the name “L” shows up to challenge his him at his own games. According to current news, a mysterious woman is giving away free magical powers to anyone lucky enough to cross her path. Sound familiar? Well, it’s not C.C. this time, because it’s none other than the most powerful mage in the history of the Kusaribe clan—Hakaze Kusaribe—from the anime Zetsuen no Tempest. Two great trees exist in this world: the tree of Genesis and the tree of Exodus. Both trees contradict each other with their powers of creation and destruction. One day, Samon Kisaribe, a man whose goal is to resurrect the tree of Exodus, treacherously banishes Hakaze Kusaribe to a desolate island so that she may not interfere with his plans. But, as the greatest mage in the clan, Hakaze has still has cards up her sleeves. Hakaze sends messages across the sea in hopes that someone would stumble upon them. Fortunately, a young man named Mahiro Fuwa discovers it and gains contact with Hakaze. With vengeance for his sister on his mind, Mahiro makes a deal with Hakaze. Now, Mahiro has to help Hakaze in order to stop the revival of the tree of Genesis. But then, Mahiro's best friend and his sister's lover, Yoshino Takigawa, gets dragged into the mess as well. If sheer epic battle scenes and dark political conspiracies are essential ingredients for you, then Fullmetal Alchemist: Brotherhood may just live up to your grand expectations. In a world of balance and equilibrium, certain rules are set in order to follow the natural logic of things. This rule is especially strictly followed in the world of alchemy. But one day, two brothers (known as the Elric brothers) break the natural law by trying to raise their mother back from the dead! As a result, they suffer grave consequences for their defilement of the natural order. 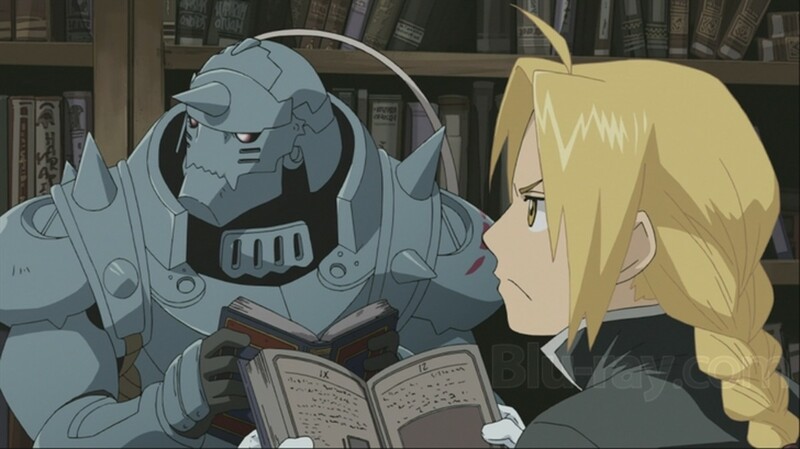 Edward Elric loses some of his limbs while Alphonse Elric loses his whole body. Now, they must embark on a journey as state alchemists in order to bring back what was taken from them. They start to scramble around the continent in order to find a stone called the Philosopher's Stone, said to be the ultimate form of alchemy. 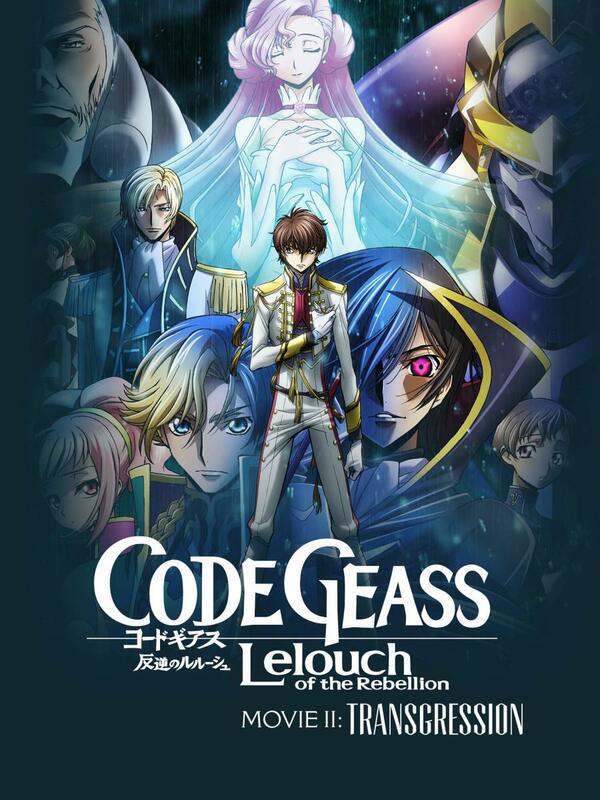 Mechas, warring factions, and twisted revelations are just some of the things we enjoyed while watching Code Geass. And now, we shall see an anime with similar plot elements! Let us now set the limelight on Eureka Seven! Eureka Seven follows the coming-of-age story of a young boy named Renton Thurston. All his life, Renton indulged himslelf in fantasies of riding the Trapar particle waves and joining the Gekkostate, a Light Finding Operation (LFO) aircraft mercenary group. But one day, in a sudden twist of fate, a young girl by the name of Eureka comes to Renton's mechanic grandfather's shop in order to get her LFO (Nirvash typeZERO) fixed. Then, it happened! The place where the Nirvash typeZeERO is gets attacked and bombarded by military LFOs under a pursuit command. Renton then unknowingly aids the Nirvash typeZERO by using the Amiti Drive, a device that unleashes the Nirvash typeZERO's hidden ability. Now, Renton is being recruited by the Gekkostate for showing big potential. Unknown to him though, it's just the start of his long adventure where everything takes an unexpected turn. Far into the future, humans now mostly live in spherical cities located in space. In this time, three political powers exist: the Dorsia Military Pact Federation, ARUS, and the neutral JIOR. Hanging only on a thin thread of balance, the Dorsia Military Pact Federation suddenly attacks Module 77, a part of the JIOR alliance. It just so happens that Module 77 is a school city block with a population composed mostly of students. Unknown to everyone, it's also the place where the mysterious robots called the Valvraves rest. 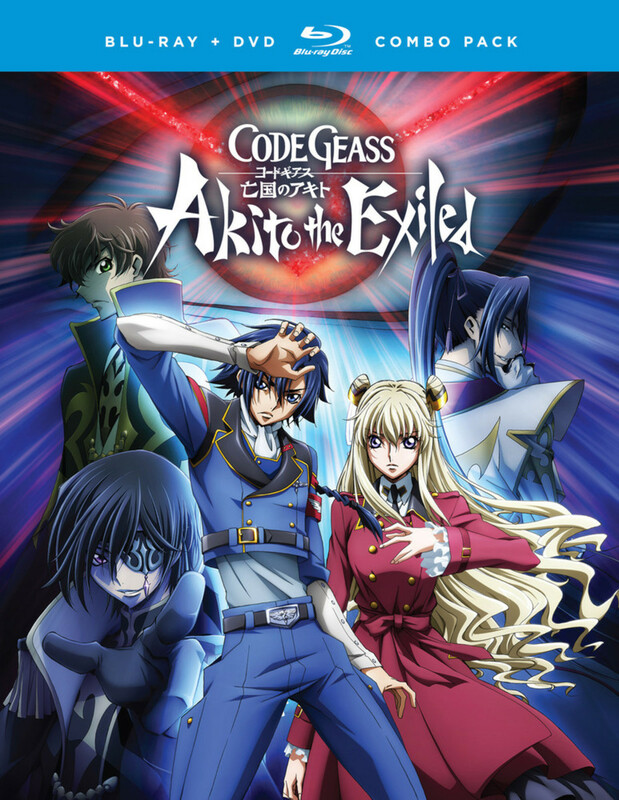 Follow Tokishima Haruto as he and the rest of his classmates and allies use the Valvraves in order to fight for their lives and reveal the hidden secrets of the world. Join them in their trials and predicaments as they dig in further into the conspiracy that dragged them all into a serious world of conflict. One boy caught up on a big worldly mess, one mysterious girl with suspicious origins, and one apocalyptic power to rule them all. 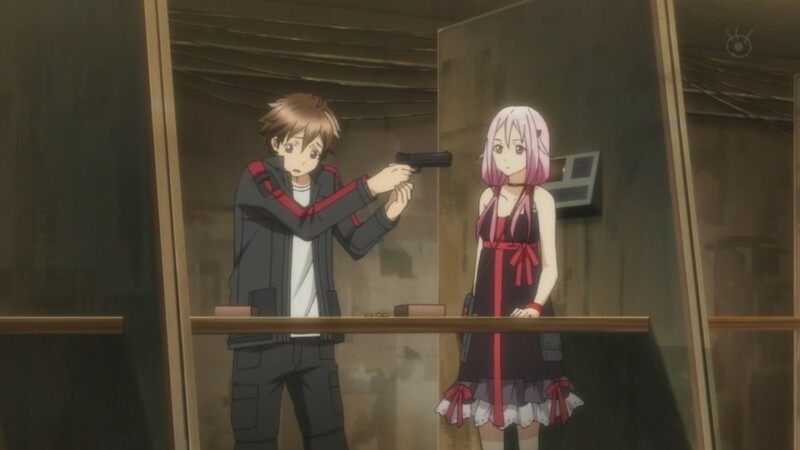 Combine all of those similar elements together and you get Guilty Crown. After the unfortunate tragedy known as "Lost Christmas," concerned with a virus called the "Apocalyptic Virus," Japan had been since then under the command of a control organization known as the GHQ. No one knows what GHQ is really after and what they're trying to hide, but,they found a foe in the rebel group the Funeral Parlor. In the midst of the conflict, a high-school boy named Ouma Shu meets a suspicious girl named Yuzuriha Inori and stumbles upon a mysterious power that can be used to extract voids in the heart. Shu then wields the power known as the "Right Hand of the King," which imposes the Guilty Crown upon him. Suisei no Gargentia is another anime embedded with high levels of action in its most climatic moments. And while I do agree that it's a bit lighter on the story intensity, Suisei no Gargantia's revelations and climatic performances are on par with Code Geass. And yes, there are also some pretty cool mechas here! In a far off future, a galactic war against aggressive creatures known as "Hideause" is taking place in space. But, in one of the major battles in space, a young pilot named Ledo and his mobile robot Chamber suffer a terrible defeat that gets them flung towards a supposedly inhabited world, Earth. But, to Ledo's surprise Earth isn't the lifeless and deserted planet he learned about in his space home base. With no knowledge of culture and the planet's current way of living, Ledo ventures out on Earth to search for a way back to his space base. But, it won't be as easy as it seems all paths of communication in space are now blocked, and it will take some time for Chamber to fully navigate the channels. 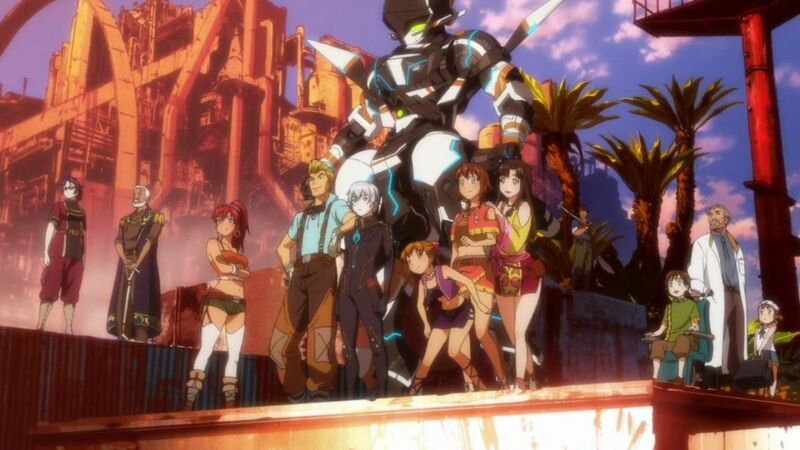 And so, Ledo is temporarily forced to live with his new companions, Amy and the rest of the residents of Gargantia. 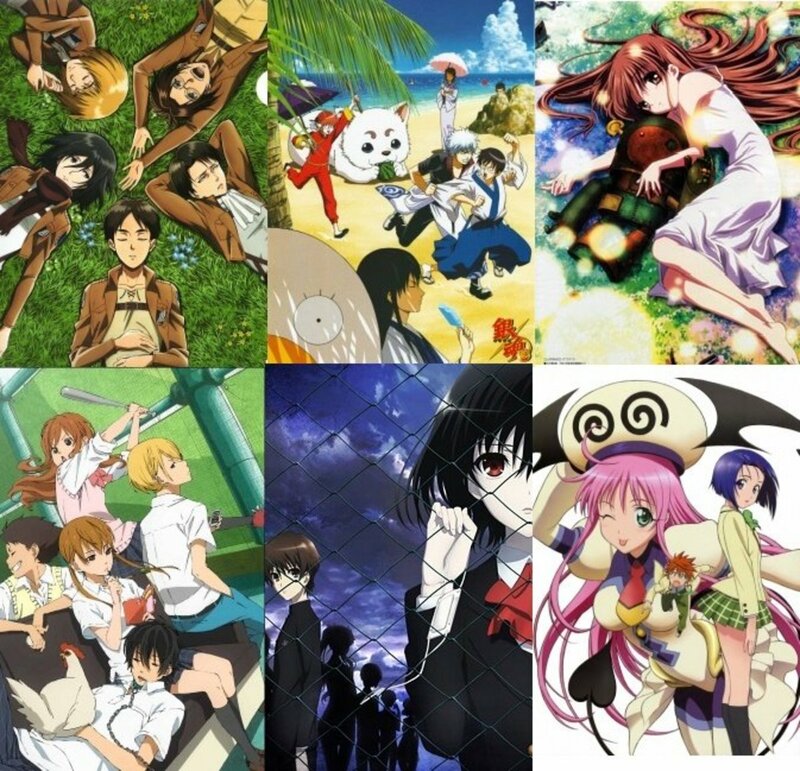 Which one is your favorite anime from the list? 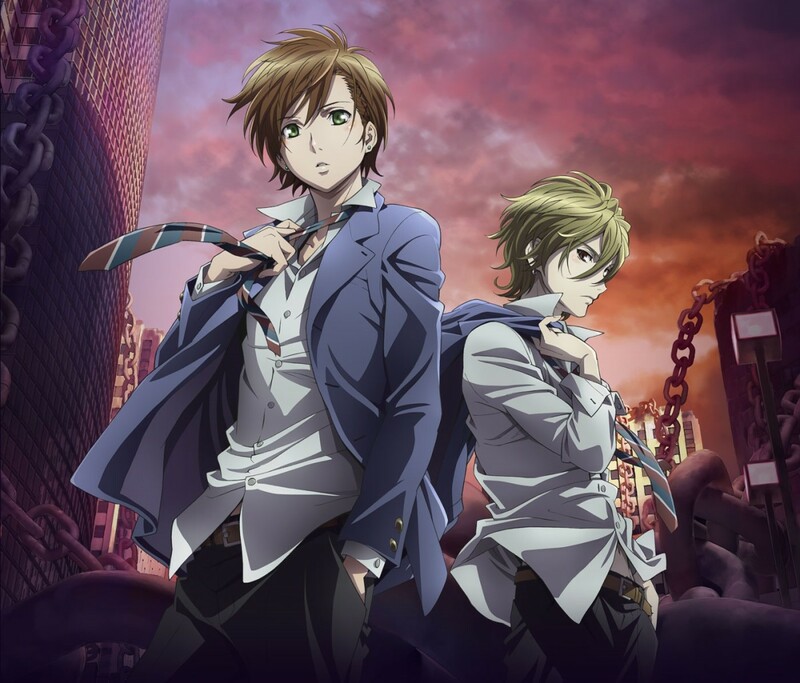 7 Anime Like "Zetsuen no Tempest"
@akaoni Especially the main character. And oh, the thing about the sister too. Also, the eye ability. I watched Zetsuen no Tempest following this recommendation and I have to say, it's the shitiest anime I've seen so far, please don't put it on the same level with code geass or death note. It's a disgrace. Cheeky Kid, my granddaughter loves you, so I send her the links to your hubs on fb, I hope she sends you a message. Thumbs up BAI and shared. Zetsuen no Tempest and Valvrave the Liberator got me interested, although nothing (NOTHING!) will ever be as awesomely well scripted as Code Geass... man, Code Geass rules.